The space kingdom Asgardia held its first Parliamentary session on 24 June 2018 in Vienna. The 108 members of Parliament adopted the first law on the Parliament of Asgardia. The Head of Nation, Dr Igor Ashurbeyli, signed the law immediately after adoption. 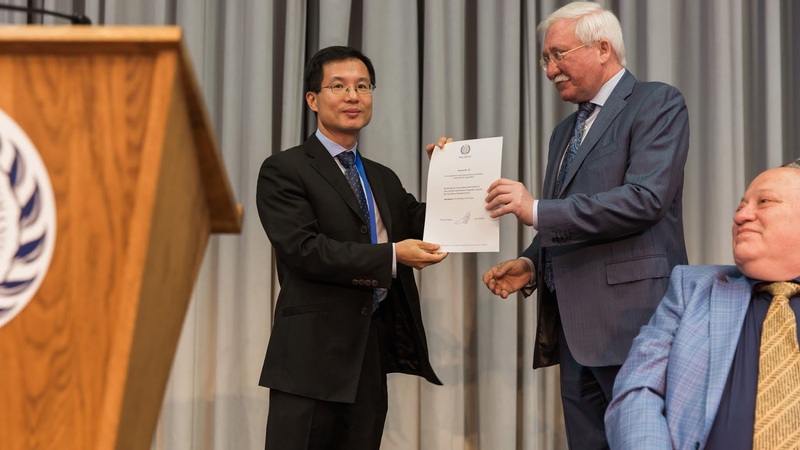 Decree No 19 appointed Professor Yun Zhao, HKU's head of the Department of Law, as the Supreme Justice of Asgardia in accordance with Article 35, item 3 of the Asgardian Constitution. Mr Lembit Opik and Ms Ana Diaz were appointed Parliament Chairperson and Prime Minister, respectively. Two laws, an Act on the Enactment of Legislative Acts of the Nation of Asgardia and the Citizenship Law, were debated and passed. 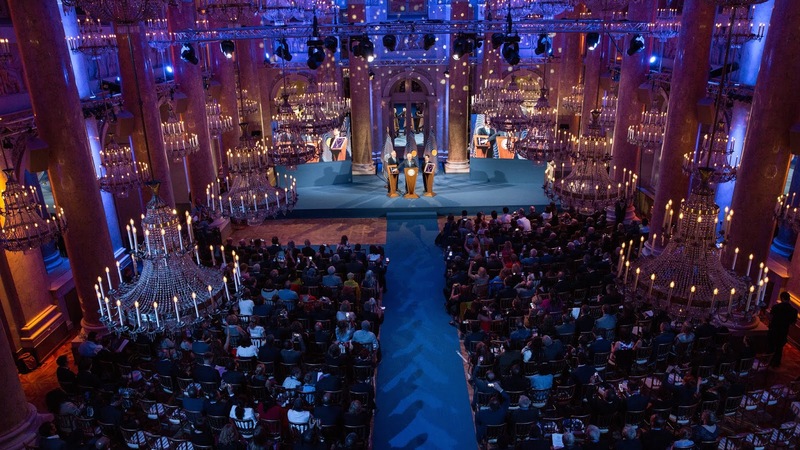 On the following day, a ceremony was held at Hofburg Palace to mark the inauguration of Dr Igor Ashurbeyli as the Head of Nation. In attendance were ambassadors of more than 10 countries and guests from over 40 nations. The one hour, fifty-one minute video of the celebration can be viewed here. Many major international news media organisations (The Standard, Reuters, The Sun, The Daily Mail, covered the inauguration ceremony. Despite his extremely busy schedule, Professor Zhao kindly spared a few minutes of his time to participate in an e-interview by the HKU Legal Scholarship Blog. 1. What is Asgardia and how did you first get involved? Asgardia is the first space nation, which was set up in 2016. I was invited to attend a press conference held in Hong Kong in 2017 when Asgardia announced future plans for the space nation. 2. How did you come to be appointed the head of Asgardia’s Court, a position known as Supreme Justice of Asgardia, and what responsibilities do you have in this new role? Supreme Justice of the Court is an appointed position, not elected. Relevant factors include the professional qualifications and experience in the field. 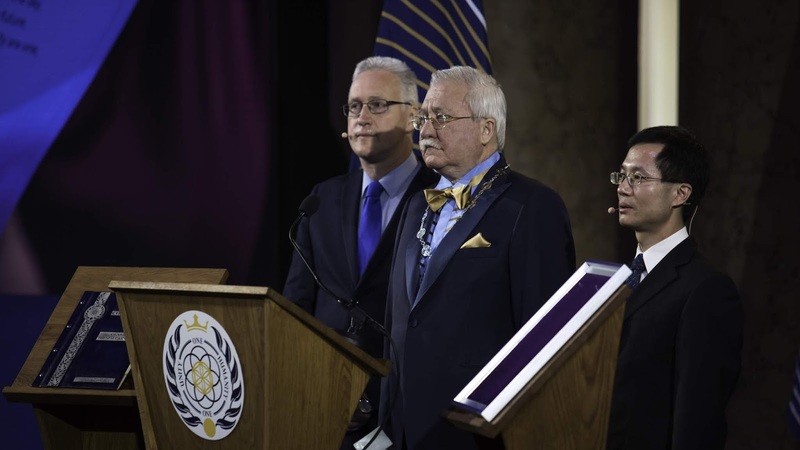 I will ensure the smooth operation of Asgardia's legal system, such as constitutionality, resolution of disputes that arise from Asgardia's laws. 3. Will other judges be appointed in the future? Other judges will be appointed in the near future, targeting end of 2018. There are four panels for constitutional, civil, administrative and criminal proceedings. 4. Do you envisage Asgardia’s Court ever hearing a case and what kinds of issues would it likely have to address? There is the possibility of court hearing, most probably cases arising from the new Citizenship' Law. 5. How has your scholarship on space law contributed to your involvement in Asgardia? This appointment takes into account my professional qualifications and experience in the space law field, and recognition from the space law (and international law) circle. 6. What opportunities are available for other legal academics and law students if they want to become involved in Asgardia? At the moment Asgardia is making appointments of ministers in the Asgardia Government, committee chairmen (Deputy-Chairmen) of Parliament and judges. Those interested in Asgardia and outer space should consider applying for Asgardia citizenship and indicate their interest in these positions. A short video of Dr Zhao speaking about his new role as Supreme Justice can be viewed here.